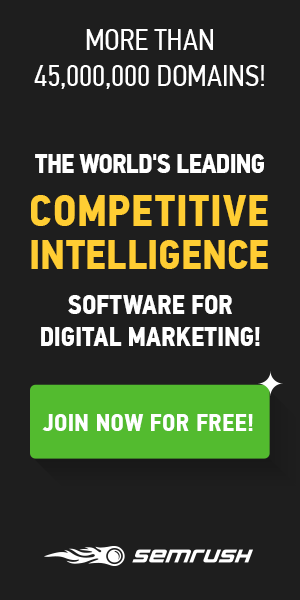 Career Contessa is an online women’s career development platform. We go beyond resume tips by showcasing the careers of successful women. Our intimate profiles with some of the best in each industry offer readers the chance to get the real story behind her job and how she got there. At Career Contessa, we aim to provide the tools essential to women’s career development: direction, inspiration and information. Career Contessa was inspired by my own personal struggle of figuring out what I wanted to do. I’ve also been very career-driven and done well in school but I really struggled with the first non-scheduled part of my life. Post-college I was very lost on what job I should pursue or even how to apply. I also wasn’t able to find any great online resources that offered what I was looking for: examples and insight into real careers and career paths, so I made it. As a millennial woman, I’ve confronted a roadblock that trips up so many of my peers: the lack of a clear career path. I was reaching for and wanting more in my career, yet at the same time, didn’t know quite where to reach. 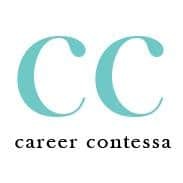 Career Contessa provides information and inspiration around careers by using real women to showcase what her job is and the path she took to get there. This information provides realistic career direction. My biggest challenge is focus. I have a lot of ideas and can easily go in a 100 different directions so I have to constantly remind myself to stay focused. I overcome this by comparing my ideas/directions to the Career Contessa mission and use that as a guide for my decisions. I also rely heavily on the great team of people around me – I’m not great at everything (who is!) so I make sure to surround myself with people who are strong in my weaker areas. Driven. Career Contessa was an idea sparked from a trip to Europe in 2012. I was totally detached from phone, internet, TV, etc., and with a very clear head, I thought about my career and my journey so far with the resources I had used, and ultimately came up with the concept. CC launched in October 2013, and my consistent drive and vision for CC is what got me from an idea in Europe to a website that is offering career direction exactly how we need it. 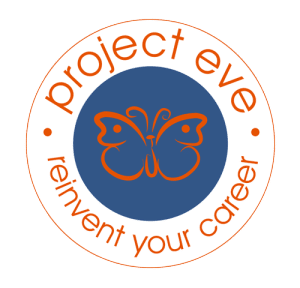 Project Eve is a fantastic resource for actionable advice and motivation; it’s a great way to be connect to an inspiring community of entrepreneurs. One thing I often tell job seekers is to put as much time and research into company fit as you do job fit. You spend more time at work than anywhere else so it’s important that you enjoy your day-to-day work, but it’s equally important that you like the company you work for. Company fit includes: physical environment, perks, benefits, company size, mission, product, etc. Make sure you have an idea of what you want and what you need to fit your lifestyle so when you’re interviewing, you can ask the right questions.